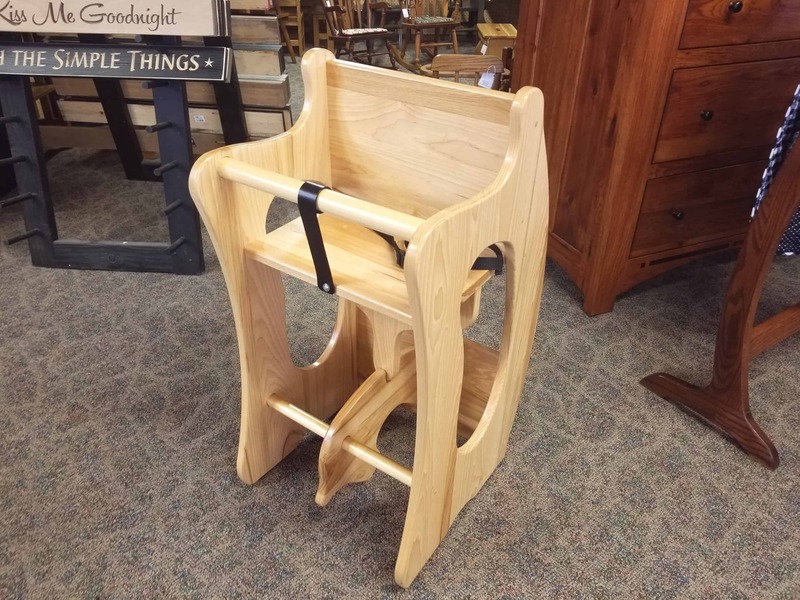 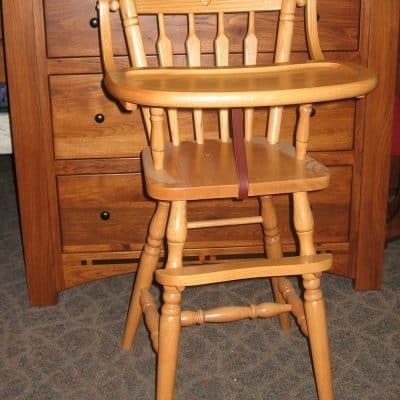 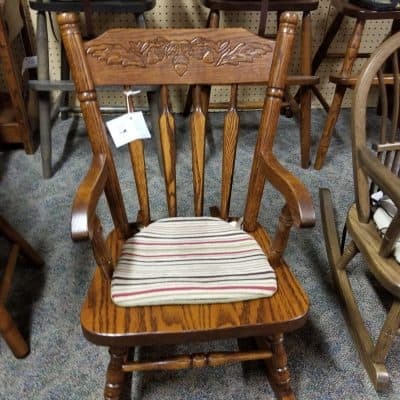 Children’s Hickory “3-in-1” Piece shown in a natural finish. 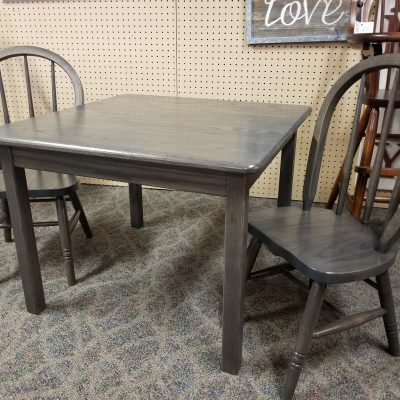 Other wood, stain, and color choices are also available for custom order. This piece changes into three different items. 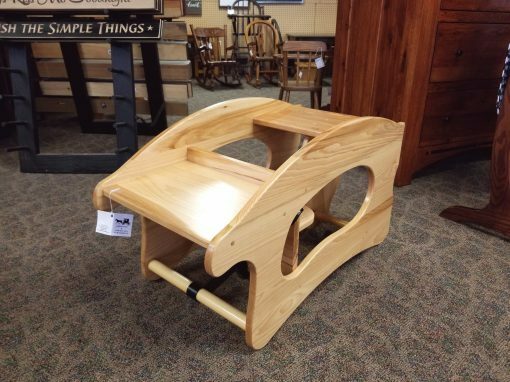 When upright, the piece to be used as a chair, when laid down it works as a desk/table. 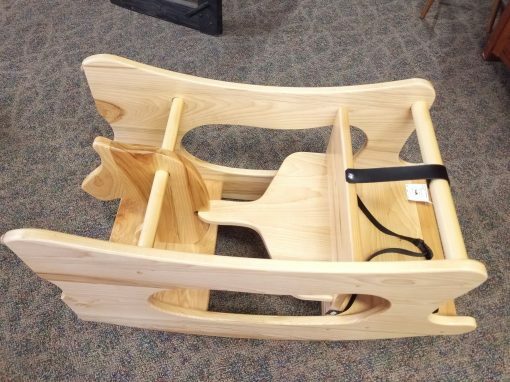 Finally, when turned over again, it operates as a rocking horse.